There’s no need to feel guilty about eating chocolate. Good quality chocolate is high in antioxidants and low in sugar. 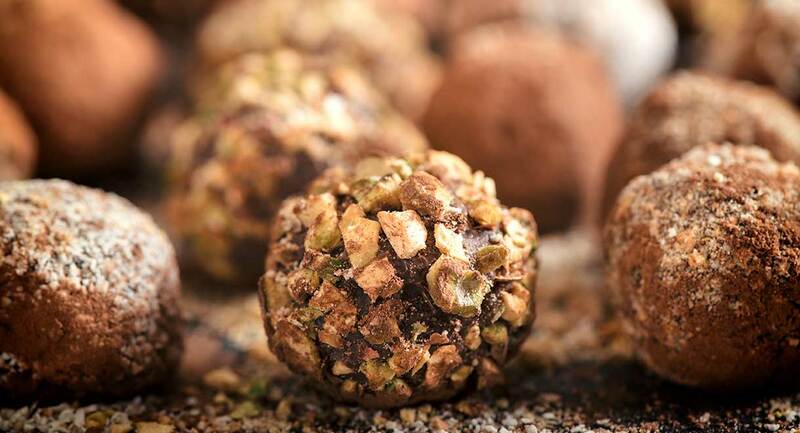 The good fats from coconut and almonds make these delicious truffles filling and satisfying. Break the chocolate up into small pieces and place into a bowl with the coconut oil. Heat the coconut milk in a small pot on the stove until it is very hot and steaming. Pour the coconut milk into the bowl of chocolate and coconut oil, and stir until the chocolate is melted. Let the mixture cool, then cover the bowl with plastic wrap and place it in the fridge for approximately 4 hours. Using a melon baller, roll the mixture into balls and then coat in crushed flaked almonds.